The White House reverted to prior statements on Tuesday in response to questions about Facebook’s move to shutter more than two dozen “inauthentic” accounts and pages — including some connected to Russian trolls that targeted the 2016 election. When asked about social media giant’s announcement, deputy White House press secretary Hogan Gidley simply pointed reporters to a statement made earlier this month after a National Security Council meeting on election security. “The president has made it clear that his administration will not tolerate foreign interference into our electoral process from any nation state or other malicious actors,” Gidley said, repeating verbatim a sentence from the earlier comment. The lack of a new statement came despite Trump administration officials receiving an early briefing on the move from Facebook and swift condemnation of the Kremlin on Tuesday from several top congressional Republicans. In recent weeks, President Donald Trump has also faced criticism from both sides of the aisle for failing to forcefully denounce Russia for its 2016 election meddling efforts, and for sowing confusion about whether he believed the Kremlin was trying to influence the 2018 midterm elections. Ahead of its announcement Tuesday, Facebook briefed lawmakers and Trump administration officials on its findings and response, according to a source who attended one of the sessions earlier this week. The removal of the propaganda accounts marked the social media giant’s first significant acknowledgment of an ongoing, coordinated campaign on its network to meddle in American politics since the social media platform implemented new safeguards after 2016. Several prominent Republican lawmakers pounced on the news. Senate Judiciary Committee Chairman Chuck Grassley’s office was quick to note that it was ironing out logistics for a staff briefing on the matter Wednesday. Senate Intelligence Committee Chairman Richard Burr, whose committee is investigating Moscow’s attempts to disrupt the 2016 elections, said in a statement that “the Russians want a weak America,” vowing to discuss the topic further at a Wednesday hearing. “There is still much that needs to be done to prevent and counter foreign interference on social media,” he said. “We know that Russia is coming back in 2018, 2020, and beyond. Americans in Washington and in Silicon Valley have work to do,” he added. The White House has repeatedly insisted that Trump has taken a hard-line approach to Russia on all fronts, hitting the country with sanctions and expelling its diplomats in response to the poisoning of an ex-Russian spy in Britain. But the White House’s approach to Facebook’s news Tuesday comes after a few weeks where administration officials had to walk back or clarify several of Trump’s statements on Russian election meddling following the president’s summit with President Vladimir Putin. In his press conference with Putin, Trump, responding to a question about whether he believed Moscow was responsible for the digital meddling that permeated the 2016 presidential race, replied, “I don’t see any reason why it would be” Russia. “The sentence should have been — and I thought it would be maybe a little bit unclear on the transcript or unclear on the actual video — the sentence should have been: I don’t see any reason why it wouldn’t be Russia. Sort of a double negative,” he explained. Kyle Cheney and Ashley Gold contributed to this report. NEW YORK — In a fiery campaign-style speech thrashing the Obama administration’s efforts at defending the country against cyberattacks, Vice President Mike Pence said the White House is preparing to unveil a national strategy to defend the nation against growing digital threats. “The American people demand and deserve the strongest possible defense and we will give it to them,” Pence promised, saying President Donald Trump “inherited” the current “cyber crisis” from President Barack Obama. Despite Pence’s promises that Trump is getting tough on cybersecurity, the administration’s critics have repeatedly accused the White House of being soft on Russia even after his own intelligence officials blamed Moscow for carrying out an elaborate hacking campaign to influence the 2016 presidential election. Still, at the same event in New York, DHS Secretary Kirstjen Nielsen pointed out that the cyber risk facing the U.S. includes the potential for election interference similar to what happened in 2016. Nielsen and other DHS officials announced several initiatives designed to counter that threat, and other cybersecurity issues, such as an election security task force, a supply chain task force and a National Risk Management Center. The department is moving more swiftly to counter a threat she said could affect all Americans’ daily lives. “[O]ur digital lives are now in danger every single day,” she said. 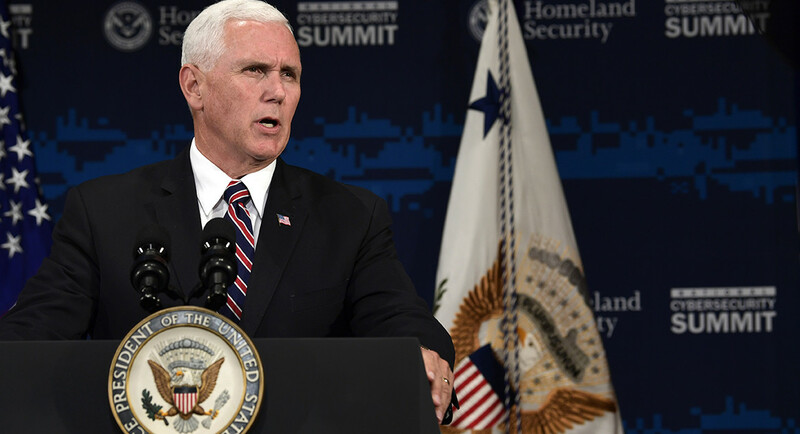 Speaking later in the day, Pence heralded Trump’s moves to elevate U.S. Cyber Command to a stand-alone combatant command as a further sign of the administration’s commitment to counter cyber threats on the battlefield. Nonpartisan cyber experts and members of both parties have praised many of those Trump administration maneuvers to strengthen cybersecurity, yet experts and lawmakers have been widely critical of White House efforts to bolster election security in light of the 2016 attacks on the presidential vote. Yet, Pence hailed “unprecedented” action from the White House to help secure elections, shifting blame to some states that remain unprepared. “It concerns us many states still don’t have concrete plans to upgrade their election systems,” he said. A POLITICO survey found that at least 21 states still do not have concrete plans to upgrade voting equipment ahead of the 2020 presidential election despite receiving a portion of $380 million in federal election assistance funding. The impression he left on the people in the room that day, according to a person familiar with the episode, was that they didn’t have much of a choice: If you didn’t participate, you were screwed. Now Woodward is taking on the Trump administration. 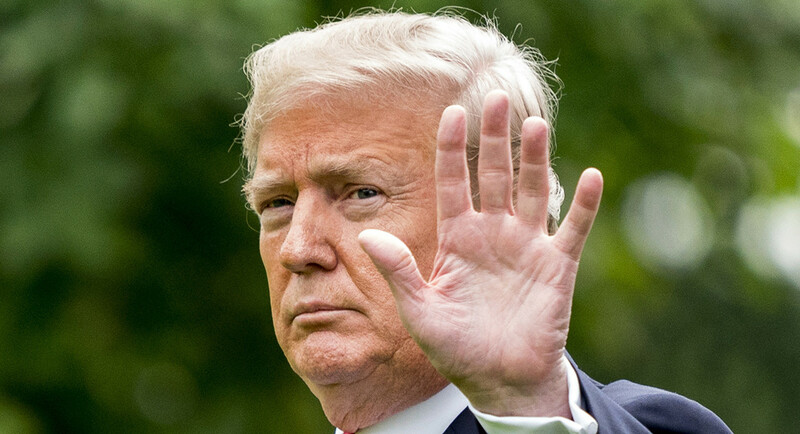 Simon & Schuster, Woodward’s publisher, announced Monday that it plans to release his 19th book, entitled “Fear: Trump in the White House,” on Sept. 11. But the process for managing the book has not been as formal in President Donald Trump’s White House – in fact, there hasn’t been any process at all. According to half a dozen former administration officials and people close to the administration, Woodward was never officially granted access to the White House or to the president, and the communications department did nothing to help him in researching or writing his book. For example, when Woodward approached the then-National Security Council spokesman Michael Anton, with whom Woodward had worked closely on his books about the George W. Bush administration, about an interview with National Security Adviser H.R. McMaster, he was officially turned down, according to a person familiar with the request. The result is what often happens in Trumpworld: Senior officials acting as lone wolves concerned with preserving their own reputations spoke to Woodward on their own – with some granting him hours of their time out of a fear of being the last person in the room to offer his or her viewpoint. The book has been kept under wraps, which one publishing source said was typically the M.O. for the release of a Woodward book: quiet followed by a publicity blast beginning the month before publication. Instead, two interview subjects said, he offered Trump officials and outside sources the classic Woodward treatment – inviting them to his home, where he showed them his fabled study and his Pulitzers, and then pressed them to hand over schedules, diaries and notebooks and other documents he needed. In previous administrations that he’s written about, Woodward has instead been a regular presence in the White House. The past three presidents – Obama, Bush and President Bill Clinton – all participated in Woodward projects. The Trump administration was officially participating in another project – a book by the journalists Mark Halperin and John Heilemann. Their “inside the room” books on the 2008 and 2012 presidential campaigns relied on methods similar to Woodward’s – conducting hours of interviews on background, and then using an omniscient voice to recreate scenes that put readers in the room where the decision-making happened. Their book on 2016, however, was canceled after sexual harassment allegations against Halperin. Trump allies said they were bracing themselves for a book that will enrage the president – and that he will therefore promote, intentionally or not. Trump’s rage tweets, in the past, have helped to boost book sales, while his promotional tweets about books that depict the administration – including by former aides like Sean Spicer and Fox News allies like Judge Jeanine Pirro, as well as lesser-known fans – in a positive light have failed to move the needle in the same way. His tweets about people like Wolff, who he called “a total loser who made up stories in order to sell this really boring and untruthful book” and former FBI Director James Comey, who he deemed an “untruthful slime ball” are credited with helping those books become international bestsellers. Wolff’s book sold 1.2 million hardcovers, and has been translated into 35 languages. Comey’s memoir, “A Higher Loyalty: Truth, Lies and Leadership,” sold more than 600,000 copies in its first week on sale. Woodward has been quietly plugging away at his book since before Trump took office. During the campaign, Woodward and Washington Post reporter Robert Costa together sat down for an extended interview with Trump – an interaction that gave Woodward some visibility and entree into Trumpworld, as well as the imprimatur of being around. ALEXANDRIA, Va. — Attorneys gave their opening statements Tuesday in the criminal trial of former Trump campaign chairman Paul Manafort Paul John ManafortHillicon Valley: Manafort trial is Mueller’s first courtroom test | Dem eyes options for tech crackdown | Activist publishes 11K Wikileaks Twitter messages | Trump, officials huddle on election security | How the ‘Abolish ICE’ hashtag caught fire On The Money: Trump doubles down on shutdown threat | Trump reportedly weighing big tax cut for the rich | Chamber says helping all sectors hit by tariffs would cost B Giuliani rejects purported Cohen claim of second Trump Tower meeting MORE, with the defense saying the real culprit is his longtime business associate Rick Gates. Manafort is facing 18 counts of bank and tax fraud, including allegations that he laundered $30 million from work on behalf of pro-Russian Ukrainian politicians and that he hid money overseas in unreported foreign accounts to avoid paying U.S. taxes. The prosecution said the government will be able to prove that Manafort collected more than $60 million from his work for Ukrainian officials, and that he didn’t report all of the income so that he could maintain a life of luxury. Asonye listed what he referred to as examples of Manafort’s extravagant lifestyle: seven homes, including residences in Manhattan, Brooklyn, the Hamptons, Arlington, Va., and Florida; rugs that cost $5 million; a $21,000 watch; and a custom made, $15,000 jacket made from ostrich. Manafort didn’t pay taxes for several years on millions of dollars stashed in bank accounts in Ukraine, Cyprus and elsewhere, according to Asonye. The defense countered that no one is disputing that Manafort traveled in circles most people will never know, and that he was compensated quite handsomely for that work. Instead, they said he is the victim of a dishonest business partner. “He is a talented political consultant and good man,” Zehnle said. Tuesday marked the first day of the trial, the first courtroom test of special counsel Robert Mueller Robert Swan MuellerSasse: US should applaud choice of Mueller to lead Russia probe MORE’s Russia probe. That investigation has led to dozens of indictments, but this is the first case to go to trial. The Virginia trial is expected to last about three weeks. Manafort faces a separate trial in September in Washington, D.C., also on charges brought by Mueller that include conspiring to defraud the government and launder money, making false statement to federal officials, and failing to disclose he was acting as a political consultant and lobbyist for now-former Ukrainian President Viktor Yanukovych, the political party Yanukovych led and the party that took over after Yanukovych fled to Russia in 2014. 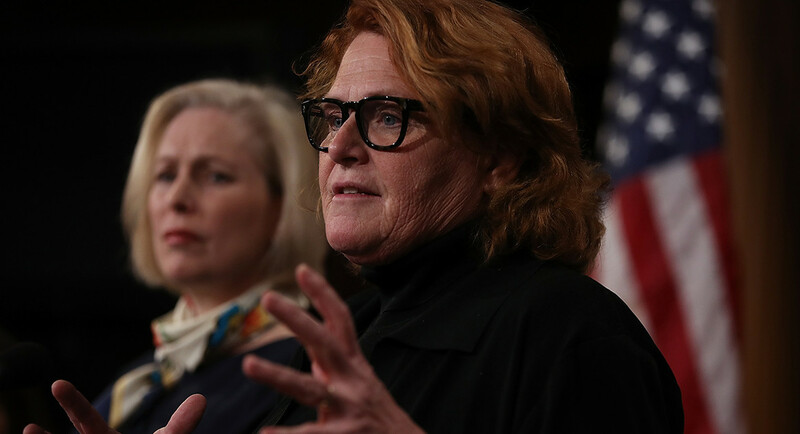 Sen. Heidi Heitkamp isn’t surprised that the Koch network is withholding its support for her GOP challenger — but that doesn’t mean she’ll be seeking an endorsement from the conservative political powerhouse. “The Koch brothers have definitely a perspective and a point of view, including on trade, and my opponent has been particularly opaque and unaware of the consequences of this [Trump] trade policy,” Heitkamp said in a brief interview, adding that she has no plans to seek the network’s formal announcement. The Koch snub of Cramer “means that they intend to hold… Republicans who seek their endorsement to a standard of some sort other than just an R behind their name,” Heitkamp added. At the same Colorado event where the Koch network revealed its omission of support for Cramer — who was derided as “inconsistent” on its core issues even after GOP leaders courted him to take on Heitkamp in November — the conservative nexus also said that it was not currently supporting a candidate in the Indiana or Nevada Senate races.